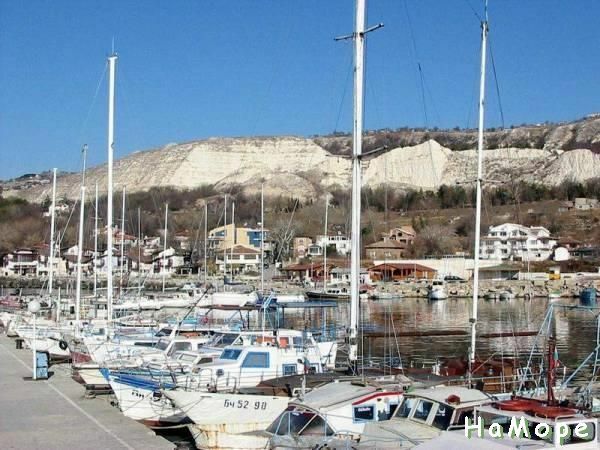 Similarly to Kavarna, the town of Balchik is also a relatively large settlement along the Northern seaside with its population numbering 13,766 people and a harbour used for medium-sized passanger and commercial vessels. It is situated 31km north of Varna in a beatiful inlet. The place was first inhabited by Ionians in the 5th century BC. At that time, the settlement was called Kmuni or Krounoi after the Greek word for springs, due to the abundance of karst springs in the area. Later on it was renamed Dionisopolis after the name of Dionisius, the Greek god of wine and feasts. According to one of the most popular explnations, the town received this name after a statute of Dionisius was dragged there by the sea. The god’s image appeared also on the the coins minted there. Noteworthy, the town was a rather important centre on the northern Black Sea coast till the beginning of the new era and it was second in significance only to Varna (named Odessos at that time). Later on the town was included in the territory of Bulgaria. Around the 13th - 14th century AC it was moved to a natural fortification, called Dzhina Bair. Following its rule by the Boyar Balik, it received its present-day name of Balchik. The town flourished and grew into a big corn-trading centre after the Crimean War (1853-1856). Yet after the Balkan War which ended 1913, it was annexed to the territory of Romania. Struck by the natural beauty of the place, The Romanian Queen Maria built a summer palace and a botanical garden there. The royal complex also included a chapel and a villa for Romanian aristocrats. The town turned into a luxurious resort at the time. After 1940 Balchik was again included in Bulgarian territory.